Faculty and staff members are spending the year organizing and planning in anticipation of their move to an updated facility at a safer location. The Elon Elementary School community members are spending their last year within the walls of a long-established school building sorting through their materials, reminiscing on blissful memories and sharing enthusiasm for their future at a new building and location. “This is a very welcoming and exciting event in the history of a new beginning as we open a new school building to become the home to a community full of tradition and pride,” said Elon Elementary School Principal Jack Davern. 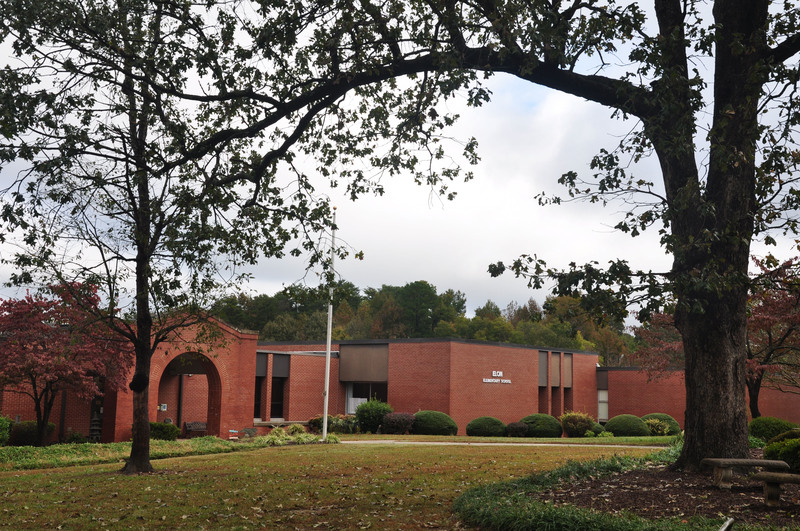 Next fall, Elon Elementary School students, faculty, staff and families will bid farewell to their current school on East Haggard Avenue that has served them for more than 60 years and will open the door to a new beginning at 752 Walker Road. 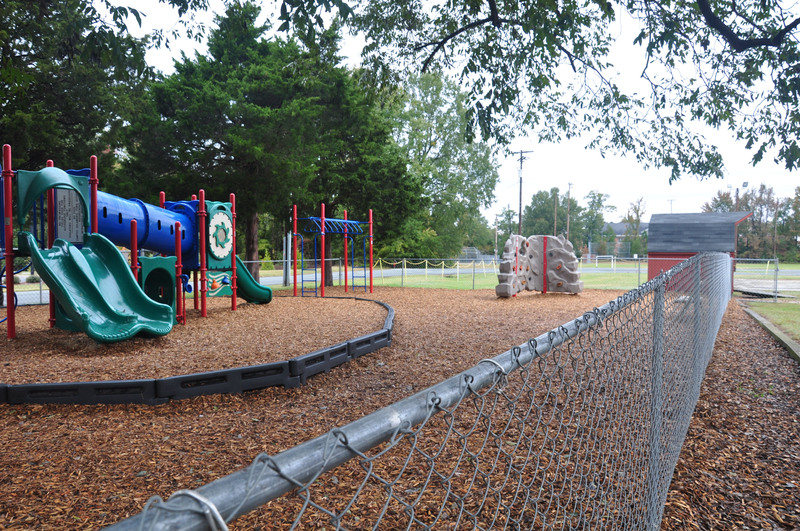 The elementary school’s relocation is a component of a land swap agreement that began in 2016 between Elon University and the Alamance-Burlington School System. 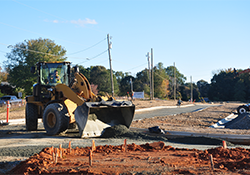 The university is fully funding the construction of a $20 million elementary school on university-owned property in exchange for Elon Elementary School’s 20-acre site, which will accommodate Elon’s strategic plan of campus expansion. To prepare for the move, which is taking place this summer, staff members are currently examining their rooms to identify and discard broken and outdated materials and to salvage only the items that will facilitate a new learning environment that fosters enthusiasm for education. 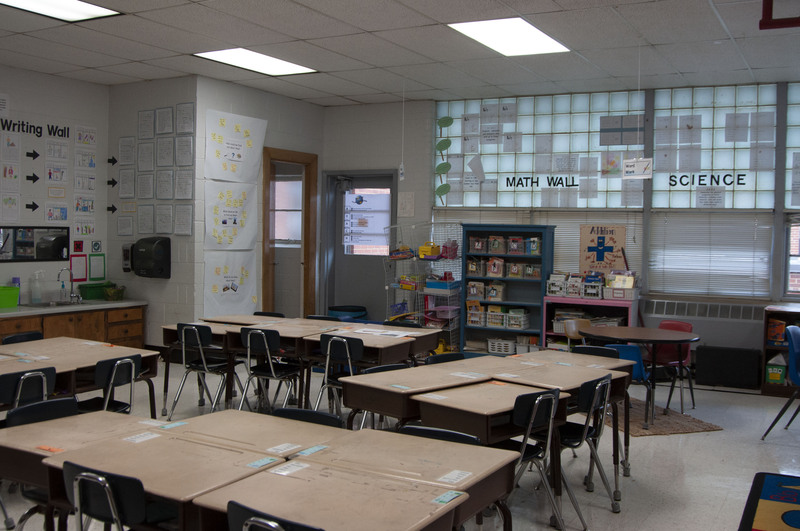 Since ABSS is covering the costs of the new school building’s interior, teachers are listing pieces of furniture, room decor and educational materials that need a replacement and additional supplies they need before the upcoming school year. Ian Lewis, first-grade teacher at Elon Elementary School, has been organizing files and handouts before the move. 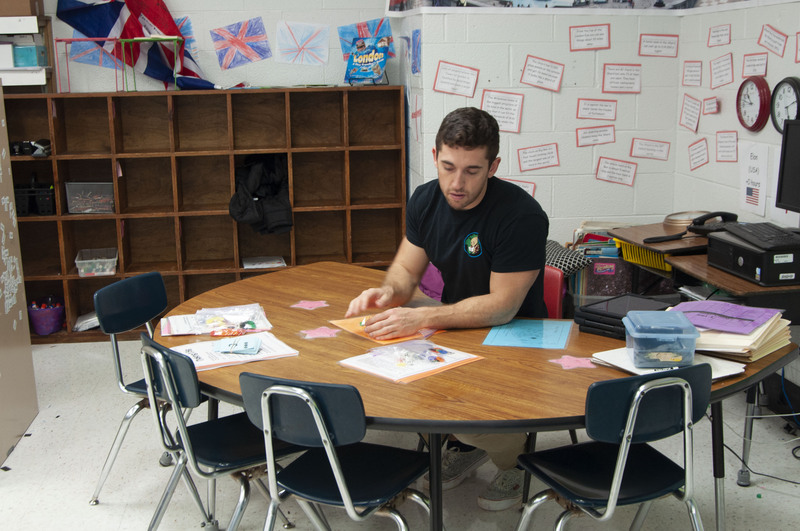 Ian Lewis, a first-grade teacher at Elon Elementary School, has been spending the school year organizing his room and sifting through his materials to decide whether his handouts, supplies and decorations will serve his 20 students in a larger space. He has been storing his most recent items in files and cabinets to save for next year. Ian Lewis, first-grade teacher at Elon Elementary School, says his new classroom will create a more welcoming learning environment. The move has also affected the layout and aesthetic appeal of his classroom. Lewis said he chose a limited and simple display when he decorated his classroom so that he can quickly and efficiently pack up his classroom at the end of the year. In addition to categorizing the interior of the current building, staff members are also planning in depth for the 2019-2020 school year. They are addressing and striving to minimize potential problems that could emerge from teaching in an unfamiliar setting. 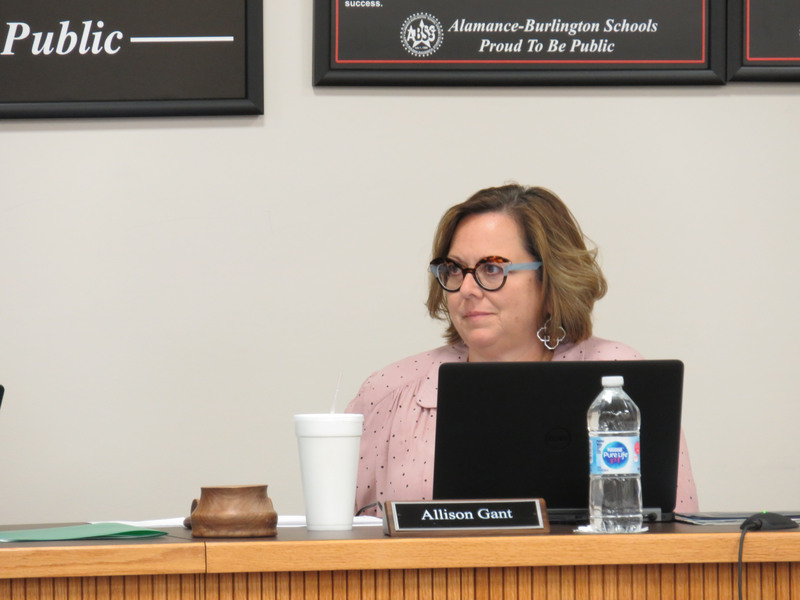 “This particular year, we have an exceptional amount of planning and organizing to do to make sure all staff, students and parents know of the new procedures and routines that the new location and structure will require,” Davern said. Davern has been updating the school community through newsletters, online messages and monthly school meetings so that everyone is aware of the move. Since Samet Corp. will not finish constructing the building until the spring, Davern said the uncertainty surrounding the building’s final product prevents him from fully preparing the community about the relocation this summer. Lewis also said he needs to see the building in person to properly plan for his transition to a new setting and to brainstorm lesson plan ideas that align with the new space. Despite the unpredictability of the final product, Lewis incorporated the upcoming move into one of his lessons to educate his students about the change and its impact on them. Lewis showed his students the new school location in Google Maps and highlighted the distance between the two buildings. “When we talked about communities in social studies, I was able to explain we’ll still be in the same community but in a different place,” Lewis said. Lewis said his students had a positive reaction but could not fully comprehend or envision learning at a new school every day. 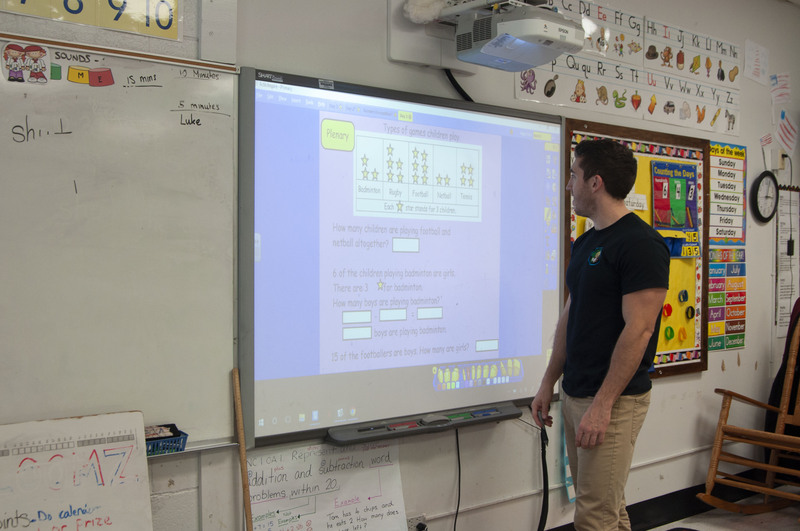 Ian Lewis, first-grade teacher at Elon Elementary School, uses the board to teach his students language, math and social studies. The move has likewise not fully resonated with some of the school community members. Davern said everyone is sharing similar feelings of nostalgia and excitement about the move. Since Davern has been working at the elementary school for eight years, he said he has created strong relationships, happy memories and beloved traditions within those school walls. 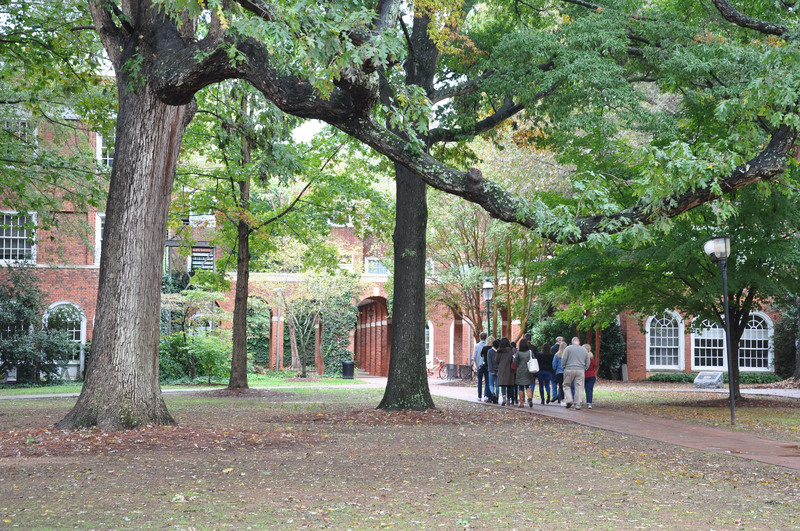 Once Elon tears down the building, Davern said the community will not only lose the physical structure but also a space that offered a familiar and welcoming environment for students to learn and teachers to instruct. 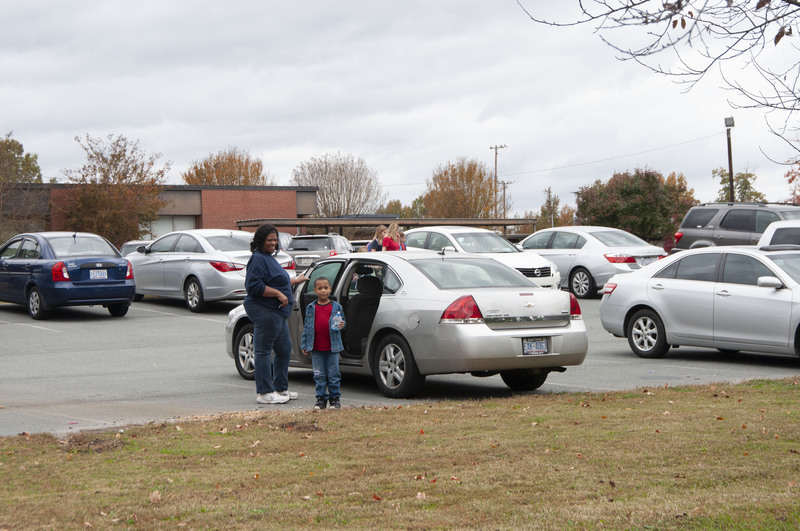 Elon Elementary School families pick up their children after school. 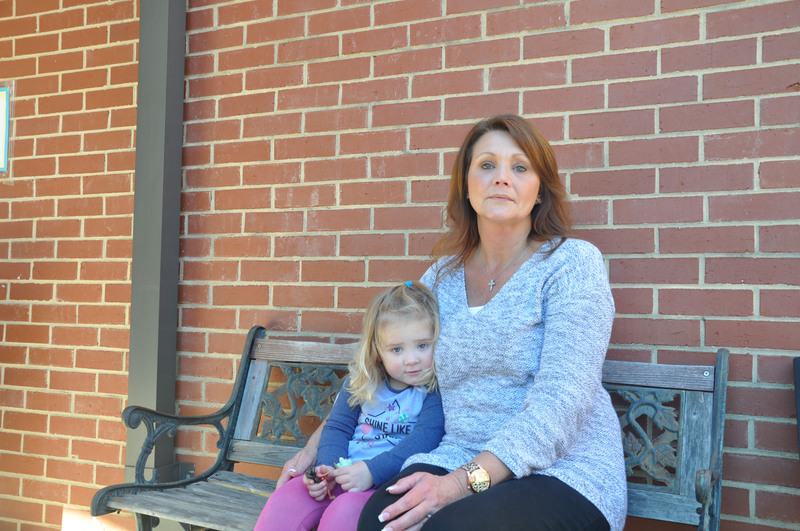 Mary Ellen Dalhouse, a parent whose son attends fifth grade at Elon Elementary, said although her son is graduating this year, she will miss the elementary school’s proximity to Elon’s campus. “It’s sad the school is not in the middle of campus because I think it’s a unique location for the college students and the elementary school,” Dalhouse said. 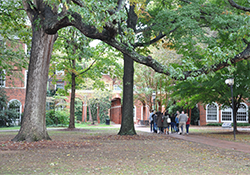 Dalhouse lives in the Colonnades Neighborhood, and her husband is Elon’s Study USA director, so she said she has taken advantage of the university's resources. She found an Elon student to tutor her son last year, and she said she regularly attends events that Elon offers. Julie Warrick began her history with the elementary school more than 25 years ago when her oldest son started kindergarten. Now, one of her granddaughters is in fifth grade at the school, and her 2-year-old granddaughter will attend the new elementary school in the future. Julie Warrick says she is excited for her granddaughter to learn in a newer facility with more advanced resources. Due to her past history at the school, Warrick said the change is bittersweet. She said she will miss the fond memories at the school, but she said she is excited for her granddaughter’s future experiences at an improved school with better facilities and resources. Lewis has been teaching at the elementary school for two years, so he said he is not as emotionally attached to the space. Since he moved from England to the United States last year, he said having to acclimate to another new space will take time. Davern said the school is mostly excited about the change. He said the new location and updated facilities will create a more welcoming environment that increases students’ motivation to learn and contributes to better learning outcomes. “We are excited about the new space as we have truly outgrown the current facilities, and students will have the space they deserve to learn and the environment teachers deserve to teach in." 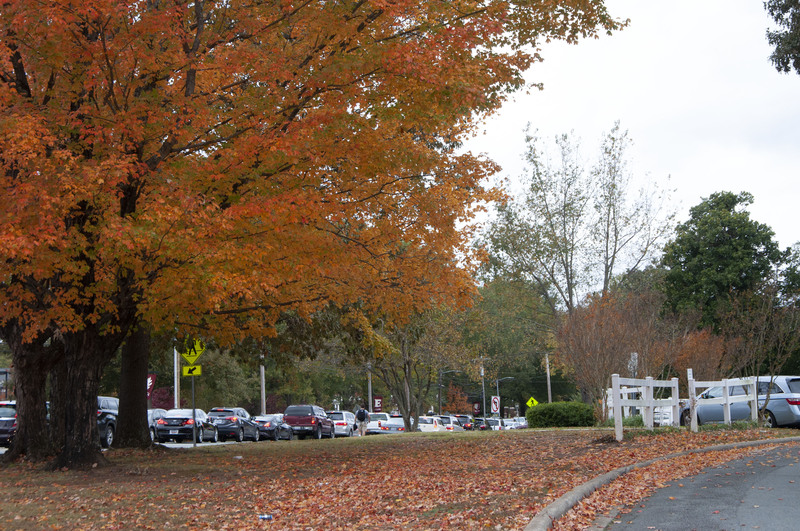 Cars line up on East Haggard Avenue before Elon Elementary School's dismissal. Elon Elementary School students go to an extracurricular activity after school. 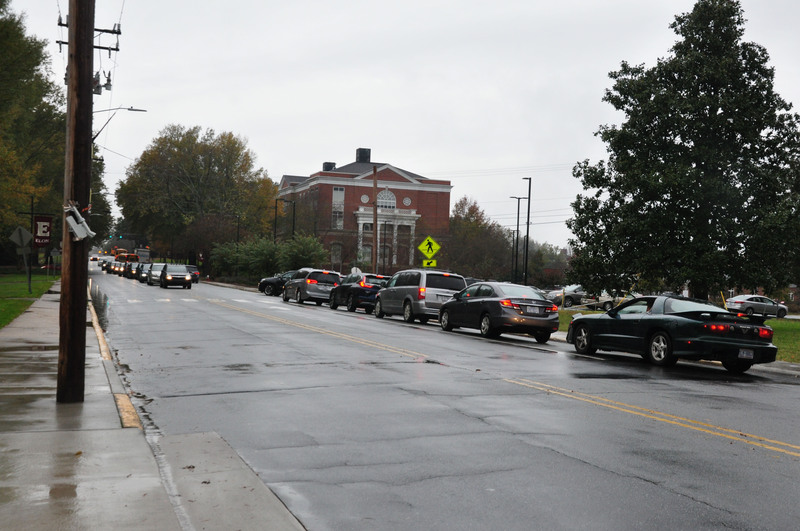 Elon University students change classes among the traffic on East Haggard Avenue. 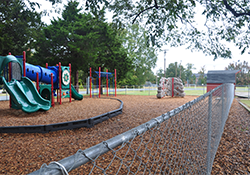 The new Elon Elementary School building will still have a playground for students to play on during recess. Samet Corp. has been constructing the new elementary school building since February and will finish the building in the spring. 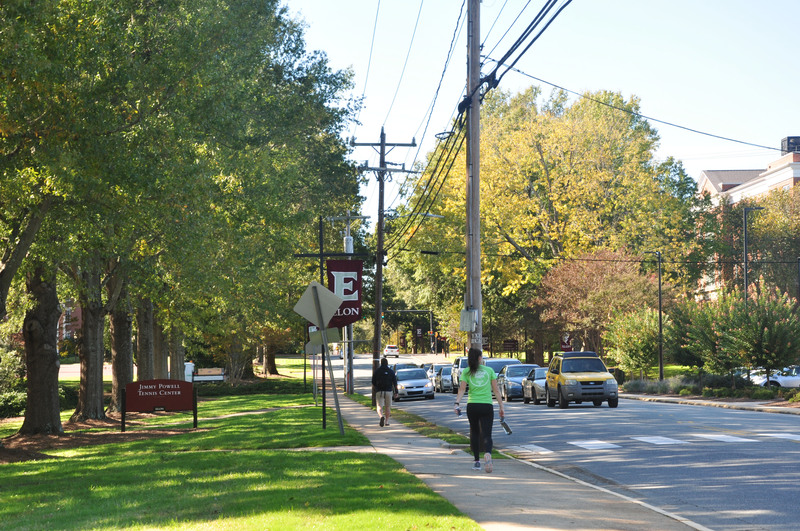 Elon University has slowly grown its student enrollment over the past 30 years. The new Elon Elementary School building saves Alamance-Burlington School System from spending money on the current facility's needed repairs. Elon Elementary School’s current building has existed since 1953 and has not been renovated since 1989. The average age of the 36 schools in the district is 50 years old, so Elon Elementary School is an outdated facility. 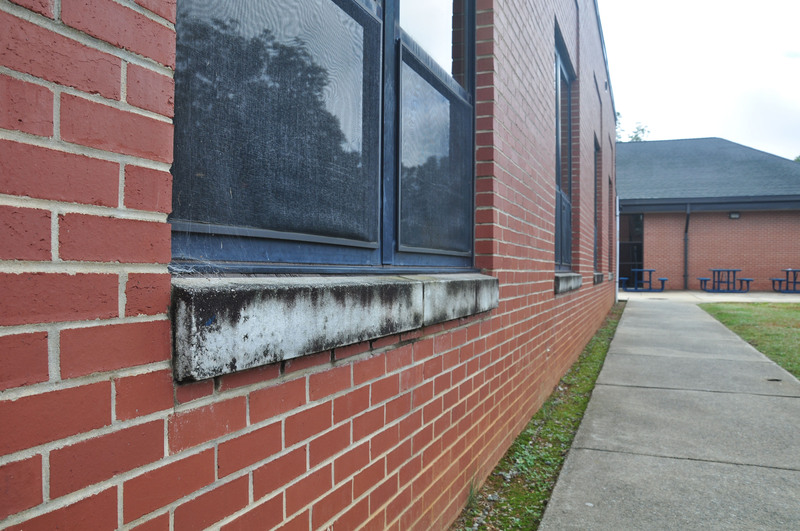 Allison Gant, chair of the Alamance-Burlington School System Board of Education, said the current building’s old age has resulted in deficiencies that the district cannot afford to fix. She said these unaddressed problems impede the school’s usability and physical appearance. Allison Gant, chair of the ABSS Board of Education, says she voted in favor of the land swap because ABSS will receive a new facility. Davern said the current building is too small to accommodate the 740 students who attend the school. He said the school has small classrooms that prevent collaboration, limited storage space, inadequate cafeteria space, minimal common area space for family events and insufficient parking. The new school building, which is modeled after George C. Simkins Jr. Elementary School in Greensboro, is 94,000 square feet with the capacity to house 750 students in classrooms and 1,000 students in core facilities, so it fits 250 more students than the current elementary school. Davern said the increased capacity will provide more classroom space for students to focus on learning, more teacher work spaces for the school’s 48 teachers to plan, more storage space for new supplies and more space for community events. Lewis said he plans on arranging more group activities for his students in a larger classroom to advocate for engaged learning. In addition to the new school building’s increase in size, Davern said the facility has a more compact and practical structure for students to navigate the building more easily. The new elementary school building's structure is organized according to grade level. 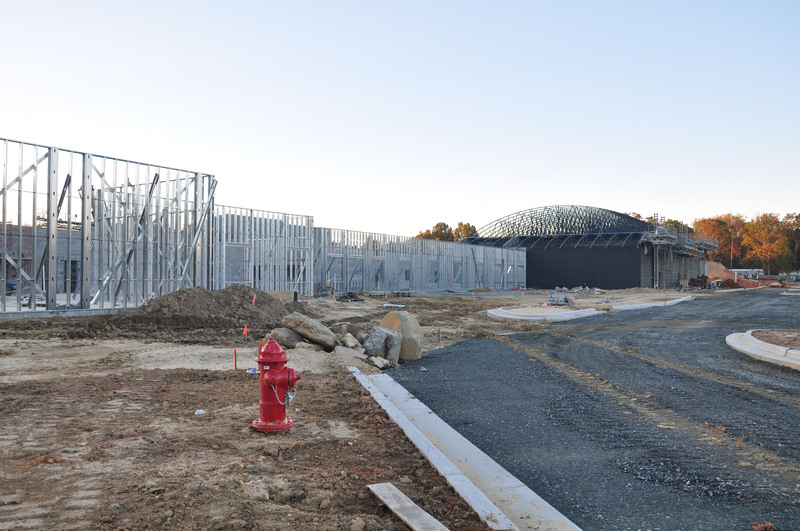 The new facility is a one-story building with one main hallway across the front of the school. The building will have a classroom wing with 34 classrooms, teacher workrooms, resource rooms, a multipurpose room, a cafeteria with a full-service kitchen, a media center and rooms for music, computer, science and art. The administration wing will have nine offices, conference rooms, tutor rooms and a teachers’ lounge. The self-contained wing will have three classrooms and two resources rooms. Gant said the new school’s layout is more accessible than the current facility, which she said will promote a more organized process when students change classes. Contractors are building this new facility on a property that is 1.5 miles north of the current elementary school site. 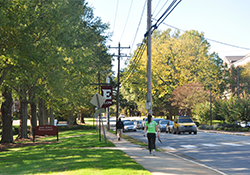 Right now, Elon Elementary School is located next to Elon University on East Haggard Avenue, which is a main road that extends from Burlington through Gibsonville. 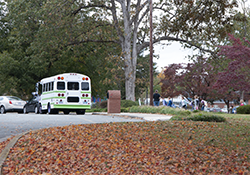 During arrival and dismissal times, elementary school community members have to drive through campus to the elementary school while university students change classes and while faculty, staff and students drive to campus. Lewis said the traffic congestion during the mornings and afternoons affect his travel time, so he has to leave earlier in the morning. 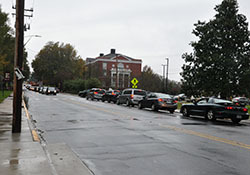 East Haggard Avenue becomes congested during the elementary school's afternoon dismissal. Some parents park their cars in the parking lot across the street to avoid the traffic, so they cross East Haggard Avenue with their children. Warrick said she found it difficult to pick up her grandchildren from school due to the limited amount of parking spaces and the traffic congestion. Gant said the elevated traffic causes safety concerns for elementary school students when they cross the road. “We have students who will cross the road, and we have police and crossing guards, but it can always be a challenge to walk across,” Gant said. 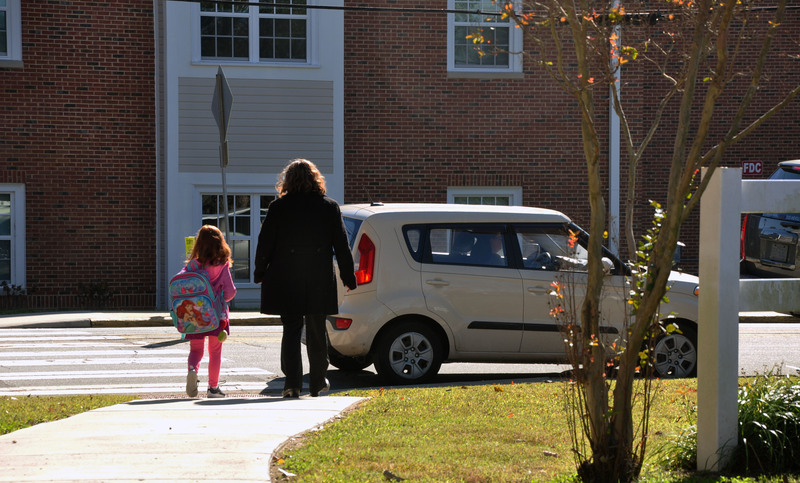 Some Elon Elementary students have to cross East Haggard Avenue during carpool. At the new location on Walker Road, residential neighborhoods surround the school instead of university buildings and traffic. The farther distance will protect the elementary school students’ safety, according to Vice President for University Communications Dan Anderson. 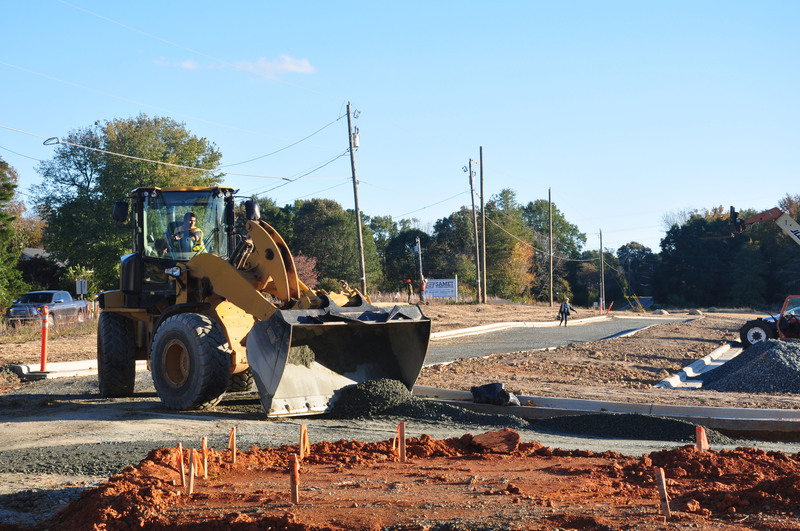 Gerald Whittington, senior vice president for business, finance and technology at Elon, said the blacktop in front of the new building will act as a barrier to the main road. He said this driveway will allow parents to enter and leave the school smoothly. “They get a magnificently better layout and flow for people dropping off kids and for buses coming,” Whittington said. Anderson said the space is newer and cleaner, has more resources and is located in a safer area, which he said will create a more welcoming and energizing environment that advances education.